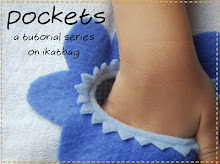 A quick tutorial today on how to make the reversible Christmas stockings from Jenna's Christmas Swimming birthday party. 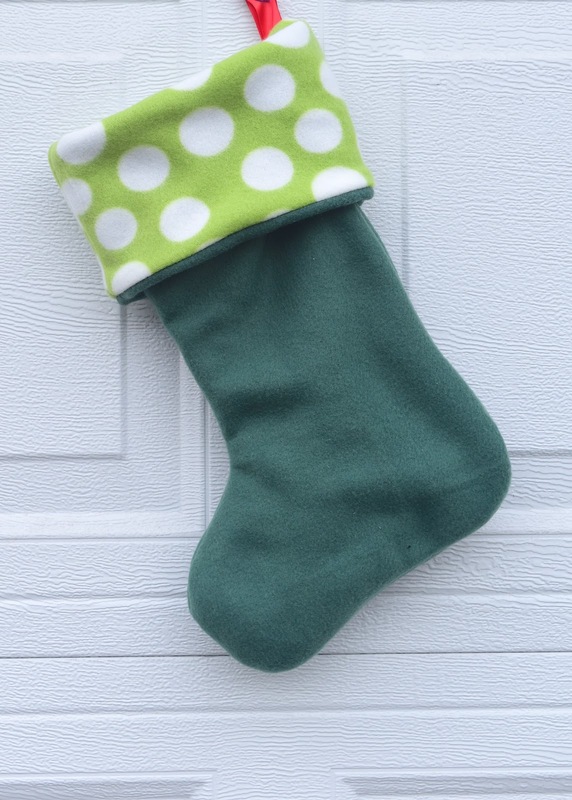 Disclaimer: the only reason these stockings are reversible is laziness. 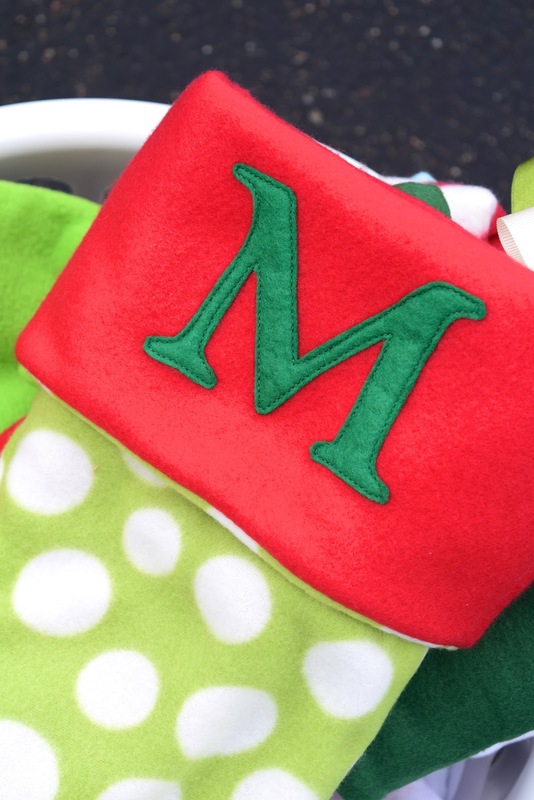 See, I wanted contrast cuffs on which to applique those initials, but if I were to simply fold down the top of the stocking, the WS would show, along with the seam allowances. And since I am allergic to exposed seam allowances, those cuffs needed to be fully lined to enclose them. 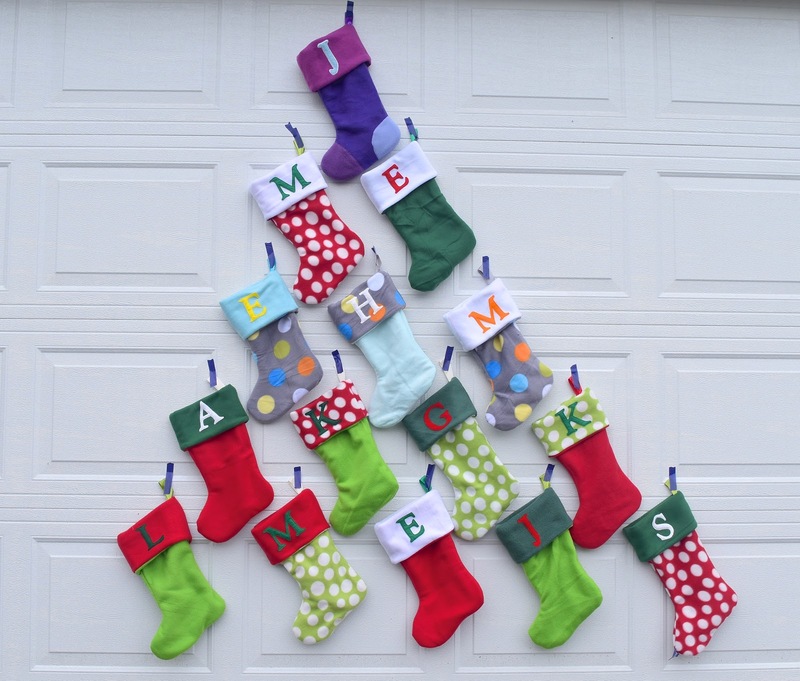 Fully lining the entire stocking, however, turned out the be the fastest and least fiddly way to make this work. 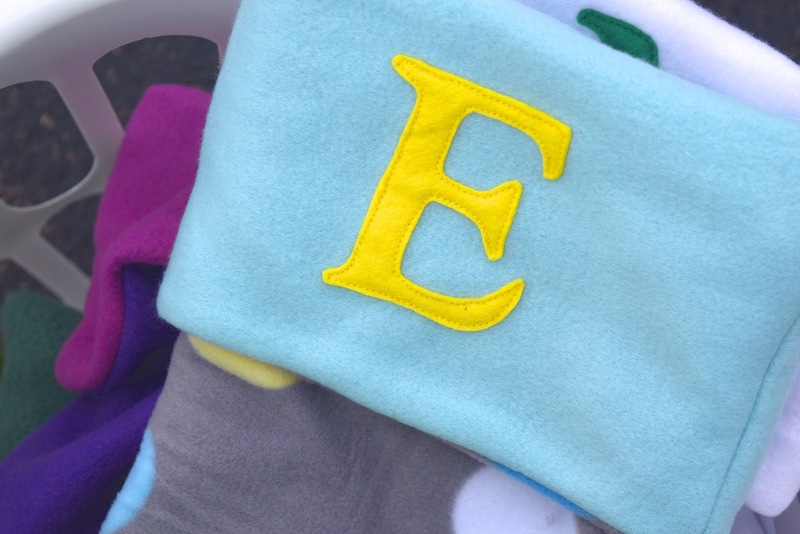 And since fully-lined = practically reversible (see this post for my Theory of Reversibility), all it took was a second ribbon loop on the inner layer to make it fully reversible. Right, let's get's started, then. just below the fold line, as shown. 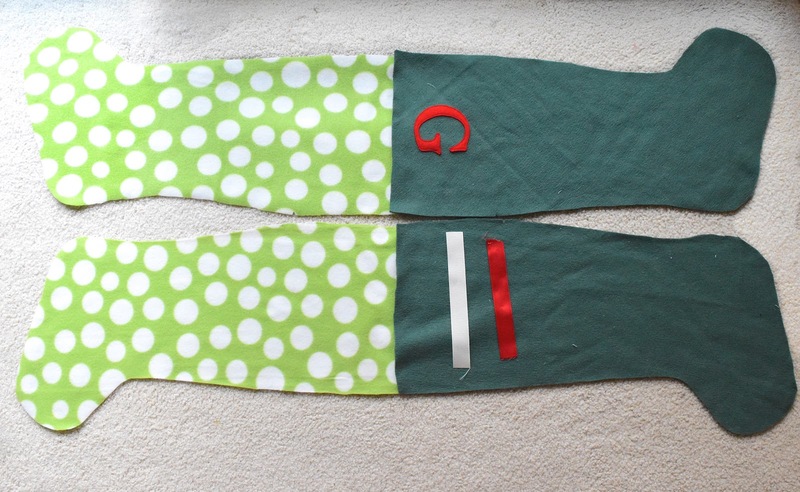 Repeat for the other pair of stocking shapes in the second fabric and second ribbon piece to make a second stocking. 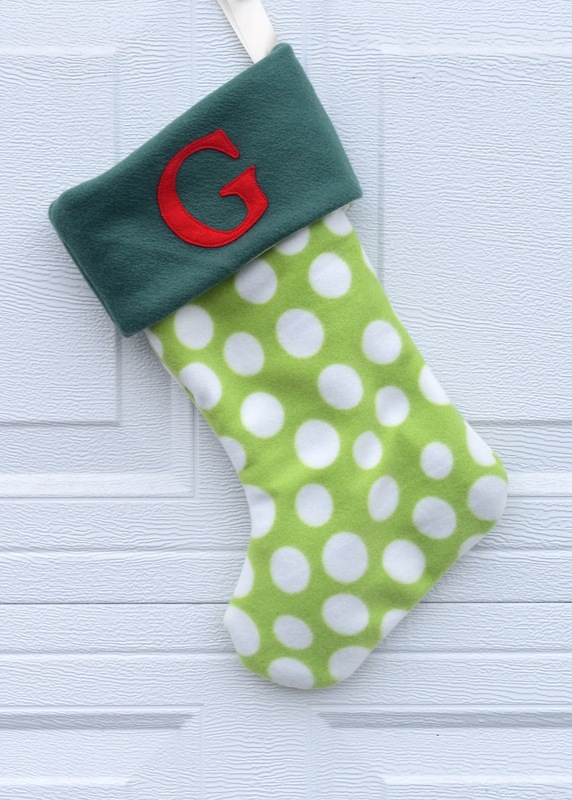 You do not need to leave a gap in this second stocking. 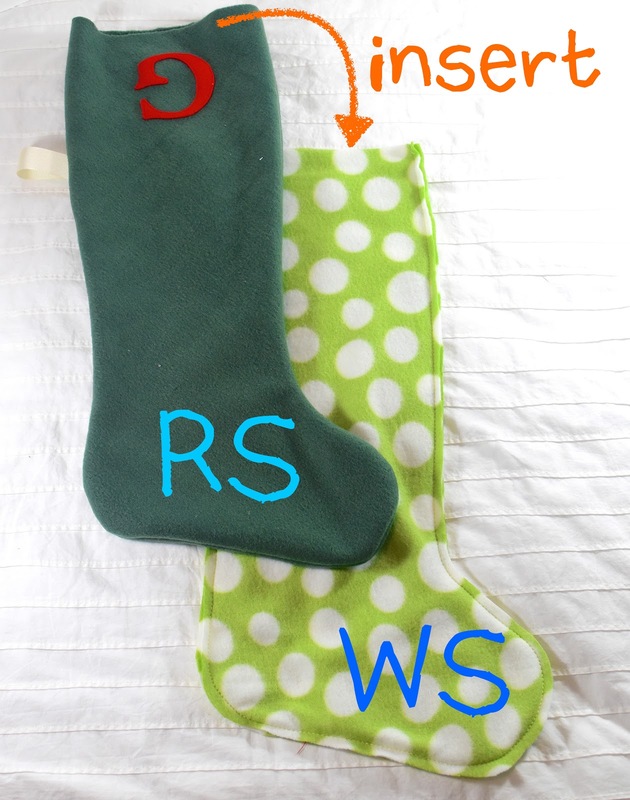 Turn one completed stocking RS out and insert into the other stocking (still WS out). 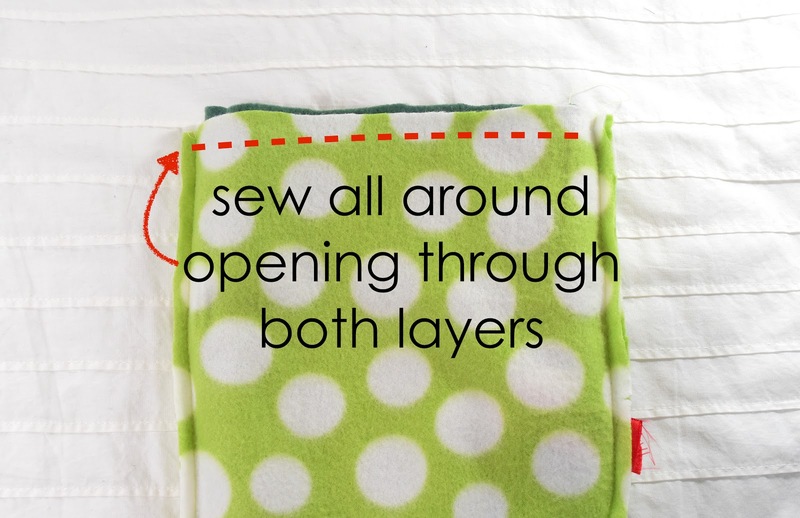 Line up their top edges and sew all around the opening, through both layers. 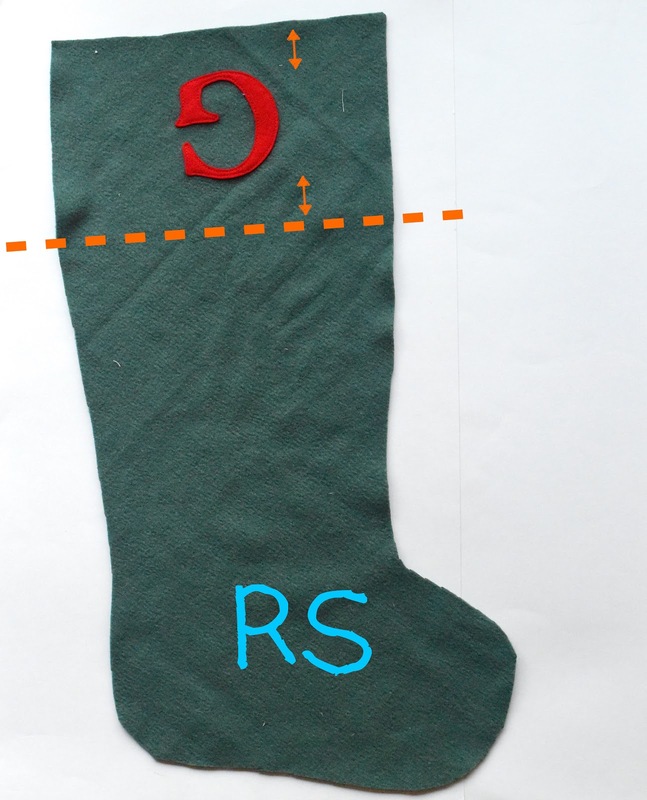 Turn entire stocking RS out through the opening you left in Step 2 and ladder-stitch the opening shut. 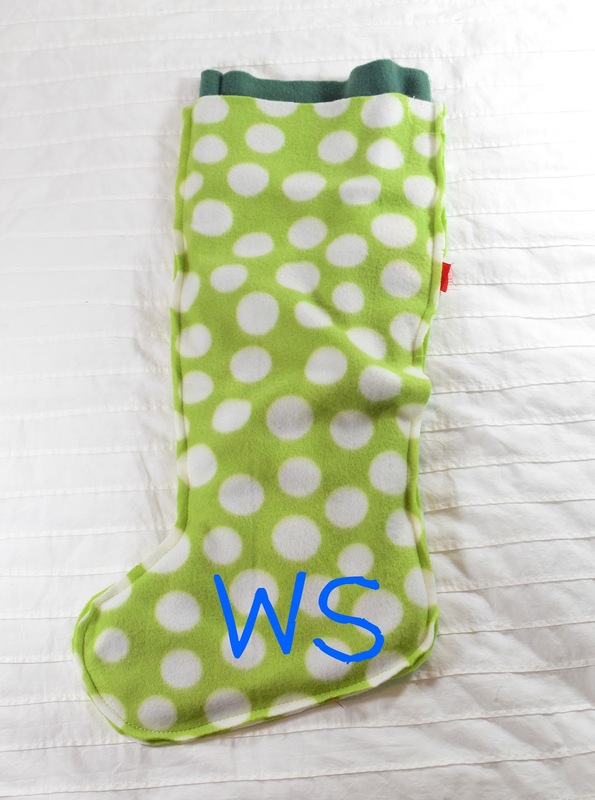 Stuff one stocking inside the other so that you get a single, two-layered stocking. Fold down the cuff. Finished! We'll resume the Zip A Bag series in the next post. Is there a step missing between step 5 and step 6? 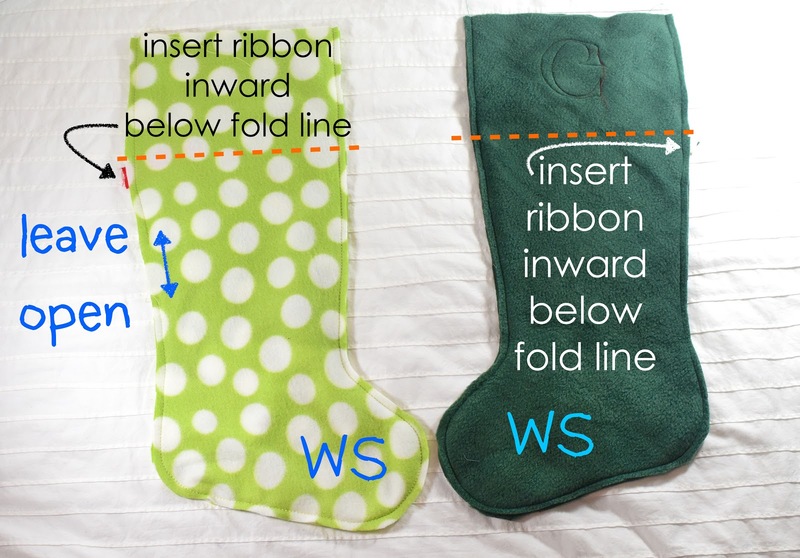 The photos go from one long double ended stocking to "fold down the cuff," without saying fold one stocking foot inside the other stocking foot. I think a swim party in December is VERY outside-the-box-thinking!! Love the fish favors! Ruth: yes, there was indeed a sentence missing. Duh. I have corrected it. Thank you for pointing it out! Brilliant! 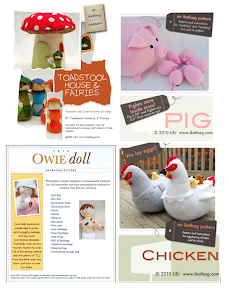 You have the most well-thought-threw tutorials I have seen.